You could say that Ronald Vincze has a passion for safety. Vincze, quality manager of Pewaukee, Wis.,-based Precision Gears, Inc., recently evaluated his facility with a critical eye on safety. One area that needed attention was the unprotected ledges on the loading dock in the shipping and receiving area. Precision Gears (precisiongears.com) is a family run business that operates a state-of-the-art-gear manufacturing facility and is equipped with precision CNC turning, milling, broaching, gear cutting and grinding machinery. It is known as a job-shop manufacturer that meets its customers’ specifications. It focuses on the manufacturing of short- and long-run, high-quality precision gears, parts and assemblies. Vincze began by researching and consulting the Occupational Health and Safety Administration’s website for information on unprotected edges. OSHA requires guarding for heights above 48”, and after measuring the heights around his loading dock, Vincze believed it was time to look into outfitting the area with better guarding protection. 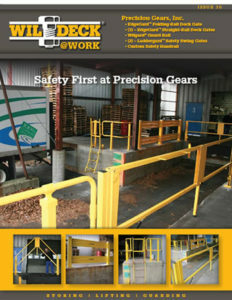 He returned to the Internet to research dock protection and the types of protective products that would protect Precision Gears employees, visitors and truck drivers from any potential dock accidents. Vincze analyzed numerous supplier websites, including several videos of Wildeck® guarding products on YouTube®. 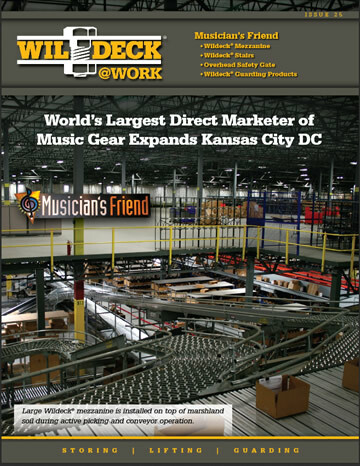 Coincidentally, Wildeck is located just a few miles from Precision Gears in the nearby city of Waukesha. 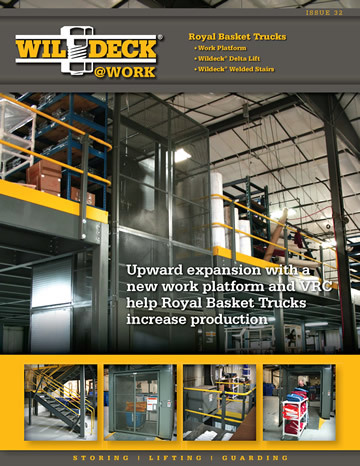 The convenient location and extensive product offering made Wildeck the right call for Vincze. Wildeck’s guarding products specialist, put Vincze in touch with a local dealer, Jeff Keough, of Capital Equipment & Handling in Hartland, Wis. 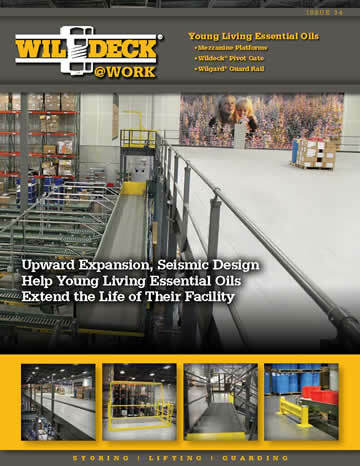 Within three days, Vincze had a quote in hand with the recommendation of several Wildeck guarding products to meet his facility’s safety requirements. Ironically, he was actively working on getting protection installed in the loading dock area when OSHA came in for a surprise visit to the Precision Gears facility. As part of their report, OSHA identified that the company needed to add safety guarding protection to the loading dock area. 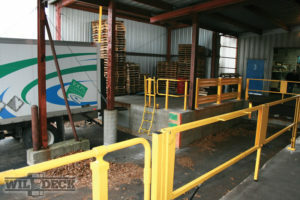 The loading dock is primarily used for shipping and receiving, including raw goods for manufacturing. Everything Precision Gears needs for manufacturing their products enters through this point in their facility. Albeit the loading dock is fairly typical, it is also equipped with overhead crane access for flatbed trucks. The dock also has a horseshoe configuration with various access points and multiple doors. A key feature about Wildeck’s guarding products that attracted Vincze is that they are manufactured from steel and are tested for impact resistance. 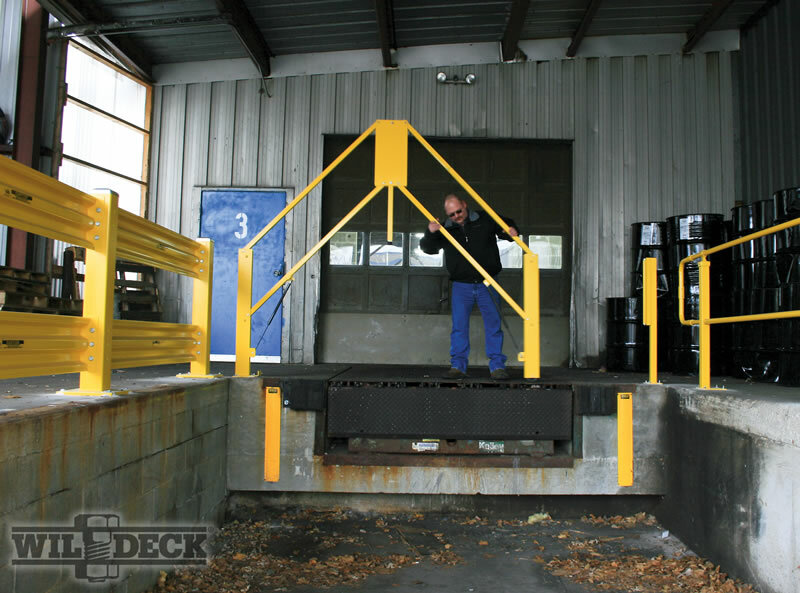 The variety of Wildeck safety products provided complete safety coverage to all of the access points on the company’s loading dock, while meeting the clearance requirements of the dock overhang and the overhead crane. “All of the Wildeck products are working great,” Vincze said. 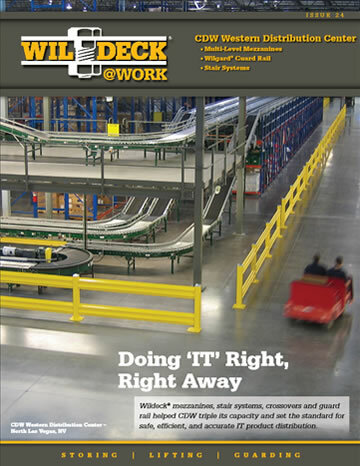 “We’ve had zero complaints from truck drivers or employees.” As with everything Wildeck produces, there is an assurance that comes with all designs. A guarantee that stems from the people who are committed to creating and delivering superior storing, lifting and guarding products that work where you need them, when you need them.